Any person that is suspected of driving under the influence in Arizona will be subject to the admin per se form and Arizona DUI charges. 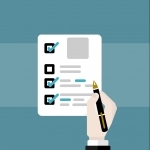 The full name of this document is the Administrative Per Se Implied Consent Affidavit and here’s how the form works. Implied consent is outlined in Arizona Revised Statutes 28-1321 and 28-1385. 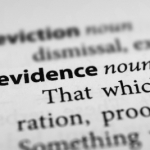 These sections of the statutes pertain to the laws that apply to arrests on suspicions of DUI. The legal document states that a person will have to consent to a breathalyzer, blood or urine BAC testing at the officer’s discretion. The implied consent doctrine stems from the fact that driving is a privilege rather than a right under Arizona regulations. Whenever a person obtains their license, they provide implicit consent for the taking of blood alcohol content via a chemical test. 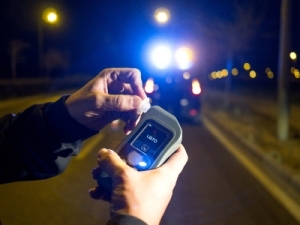 An officer will still need probable cause to pull a driver over and submit them to a BAC test. A person that is pulled over can refuse to take the test but such a refusal will come with consequences. In the case of a refusal, the police officer will have to obtain a warrant and the driver will still be submitted to BAC testing. Each person that refuses to give a sample will face license revocation for a period of 12 months. A person has the right to speak to an attorney before deciding whether to take the test but such a request has to be made immediately, before a police officer sends in the warrant. An individual that consents to testing will forfeit their license to the officer at the time when the Administrative Per Se Implied Consent Affidavit is read. If the person has a blood alcohol content of 0.08 percent or higher, the license will be confiscated. After license confiscation occurs in Arizona, the driver will be granted the limited right to continue driving for a period of 15 days after the arrest. Upon the end of the 15-day period, the license is subjected to an automatic 90-day suspension. This suspension is valid for first time offenders who have not declined the BAC test. In the case of a refusal to do the BAC test, license suspension will be valid for one year, whether the person has consumed alcohol or not. Implied consent makes it seem that you don’t have any rights at all but this isn’t the case. If you get pulled over without probable cause, your attorney will get to challenge the criminal charges. The same applies to a BAC test that hasn’t been administered in the correct way. As a defendant, you have the right to request a hearing and challenge the eventual suspension of your license. Keep in mind, however, there are stringent timeframes for requesting a hearing. 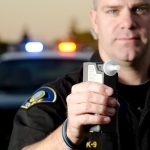 Once you get charged with DUI, you will need to call your lawyer immediately. An experienced criminal defense attorney that specializes in DUI charges will know which course of action makes the most sense under the circumstances. It’s also possible to gain restricted driving privileges for a longer period of time than the original 15 days. Some lawyers are capable of extending that period to as many as 60 of the 90 license suspension days. Restricted privileges may be granted to individuals who haven’t caused serious physical injury to others when driving under the influence, who are committing such an offense for the first time and who haven’t lost their driving privileges during the previous 84 months. Restricted driving privileges enable an individual to drive to and from a place of employment, to a school or another educational institution, to the office of a probation officer and to a screening or education facility. More information about the admin per se form and Arizona DUI charges can be obtained from the official website of the Arizona Department of Transportation. The department has put together a detailed guide that explains the affidavit, the specifics of implied consent, license suspension terms and the rules for obtaining a temporary restricted driving permit.